Yes, it’s that time of year; time for another of those unoriginal and I’m sure largely unread review posts. So without further ado I give you my review of books and music for 2008. Since I stopped commuting by train my reading time has reduced markedly; I try to read at night but invariably leave it too late and manage just a few pages before I can no longer keep my eyes open. I’ve also found difficulty remembering what I have, in fact, read this year; I think in 2009 I may keep a record of the books I read; both out of interest and to make future posts of this type easier. This book surprised me; I was expecting to find it interesting and even enjoyable, but I didn’t expect it to make me think deeply about how we work and the impact business and consumers are having upon the environment. I wrote about the book at the time I read it, and there is little to add now except that when I was recently asked for suggestions for our CEO to improve the culture at work I simply suggested that he read this book; in fact I offered to lend him my copy. It feels as if the term ‘long tail’ has been around forever but was coined by Chris Anderson in a Wired article in 2004. In essence online retailers need not focus solely on the top sellers in the way that physical retailers, with finite shelf-space, have had to: there’s money in the long tail. Chris Anderson goes into much more detail in his book describing the background and applying the principle to a number of online businesses; in fact my main criticism of the book is that it feels repetitive at times. My other criticism would be concerns over the the validity of the long tail concept and its application to online retailers following an article in The Times earlier this month: Long Tail theory contradicted as study reveals 10m digital music tracks unsold in which Chris Anderson himself says “[the researchers] had found a dataset in which the “long tail” principle did not apply”. 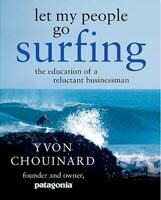 This not withstanding it’s still an interesting read for anybody involved in online business. It’s a ghastly title, and not the kind of book I normally read but Upgrade Your Life has actually been jolly useful. I think that its subtitle of The Lifehacker guide to working smarter, faster, better describes the content much better and makes it sound far less like a dodgy self-help book. I used to subscribe to the RSS feed for Gina Trapani’s LIfehacker site, but felt the majority of the tips were for Windows computers so stopped. When I recently bought a Windows PC I subscribed again and found the content to be much less Windows focussed. Having said that my reason for buying to book was to get up to speed on ways to use my XP netbook in conjunction with my iMac but I will happily admit to have found a wealth of useful hints, tips and hacks beyond my computers; many of which I have adapted and adopted. Being a fan of cloud computing and web apps I particularly like the focus on utilising the many excellent and often free online tools available; especially those from Google. I watched and enjoyed The Golden Compass, the film based upon The Northern Lights book, loving the wonderful world created within the story. Feeling that as with so many other film adaptations of a book this was likely to be a much better book than a film I bought the whole His Dark Materials trilogy. I wasn’t prepared for just how much better the books are than the film they are fantastic. In comparison to the book The Golden Compass is a simplified glimpse of the world of His Dark Materials. I was surprised how different the film was to the book with significant plot and character alterations. Pullman’s writing is, I think, excellent. There is a key scene in which the heroine Lyra finds a boy that has been separated from his daemon; a devastating thing to happen in her world. In the film this scene merely moves the plot along, but when I read the same passage in the book I had tears in my eyes; it was wonderfully written and very emotional. I’ve just finished the second book in the trilogy The Subtle Knife and it too is superb adding even greater depth and ideas to the world of His Dark Materials. I look forward to reading the final book of the trilogy The Amber Spyglass: my first book of 2009. My reading may be reduced but my consumption of music is as high as ever which is why I was a little surprised to find how few new albums I have bought this year. I’m not sure if there have been less albums released this year, if there have simply been less albums of interest to me or perhaps more likely I’ve been busy exploring the world’s back catalogue. My lovely wife first heard a track from this album on Radio 6, and suggested I have a listen as she thought I might like it; little did she know what she was starting. I’ve always liked drum and bass but never really got into it in any big way as every time I tried to find new tracks and artists they were always to manic for my tastes; which in drum and bass terms was Goldie and Roni Size and Reprazent – very old school. 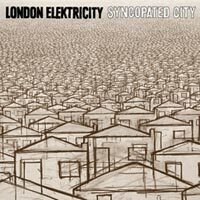 London Elektricity is just my cup of teas however, and through the excellent Hospital Records podcast, produced by Tony Colman who is London Elektricity, I’ve learnt that the drum and bass I like is called fluid drum and bass. Needless to say I have also bought London Elektricity’s first two albums: Billion Dollar Gravy and Power Ballads, and through the podcast and my new Twitter friend @subvee have found more great drum and bass from Logistics, Randomer, Mistabishi and more. I’m particularly looking forward to Mistabishi’s new album in 2009. I’ve loved Goldfrapp since their first album Felt Mountain or more specifically Lovely Head the first track I ever heard from them. I’ve bought all of their albums since, but not felt they quite captured the brilliance of Felt Mountain until Seventh Tree which is, in my opinion, their best album to date. 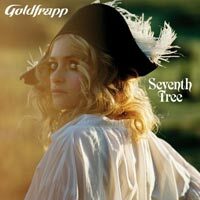 Seventh Tree is more mellow than the preceding album Supernature; it feels analogue where Supernature felt digital. The tracks are simpler, using more real instruments than electronic, and focussing on Alison Goldfrapp’s incredible voice. Particularly great tracks are A&E, Road to Somewhere and Happiness. A&E and Happiness also have brilliant videos. A fantastic album which I recommend to you as a new year treat. So there we have my listening and reading highlights of 2008; here’s looking forward to 2009.
all excellent recommendations hughesy, and thank you for so succinctly encapsulating my exact feelings about drum&bass, i’ll have a little skip around london elektricity and see what i can find, sounds perfect. fluid d&b, but of course! add three cups of tea to your 09 reading list, it will inspire you – an amazing example of how much difference one human, greg mortensen, is capable of making, in this case towards literacy and education in the middle east. buy it through http://www.threecupsoftea.com and 7% of the proceeds go towards the charity. http://www.26books.com – you may know it already but the book recommendations and critiques, and their initial goal of reading one book every 2 weeks for a year, is already inspiring me to read more. Glad I can share the D&B love. I must admit, the London Elektricity album has to be the best D&B album of the year with the Danny Byrd album a close second. Can’t wait for more treats to be released in 2009.